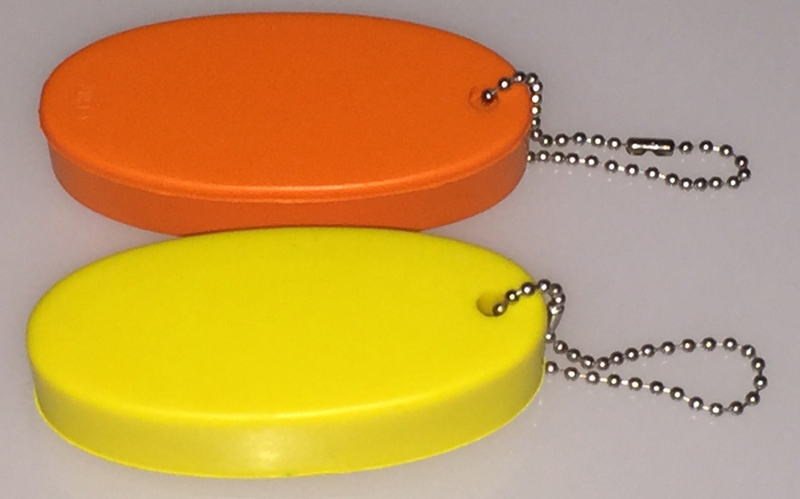 Our foam squeeze float is available in an assortment of bright orange and yellow colors. It measures 3 1/2" x 1 3/8" x 3/4" thick and comes with a 6" rustproof nickel plated brass bead chain. 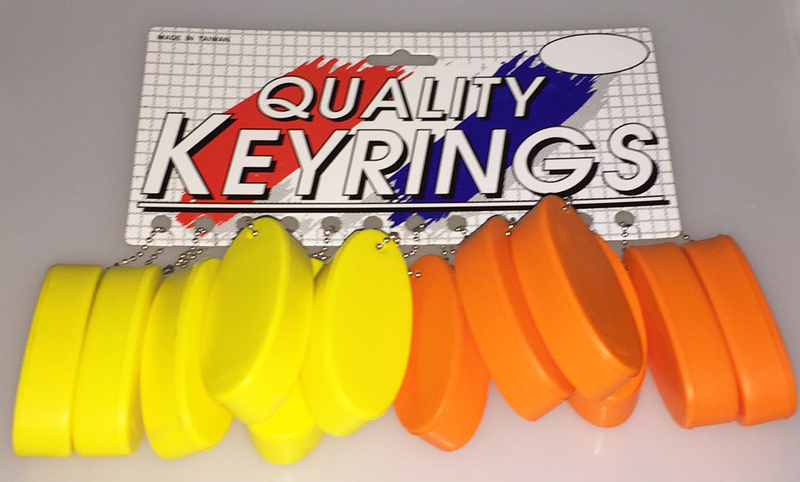 Packaging is BULK in assorted colors.